Are you new to BJJ or looking to visit? If you’re new to BJJ or looking to visit the club, then please keep reading. Looking for Kids BJJ Classes? If you’re looking to start Brazilian Jiu Jitsu our 5 session Intro Course is just for you. You need absolutely zero experience! You also don’t need to be fit, handsome or young (we have white belts in their 50s!). Whether you’re a complete beginner or a seasoned pro, there are classes to suit your level! 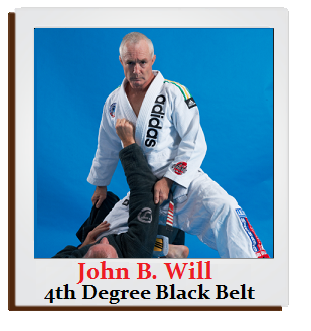 We have sessions for absolute beginners, just for White Belts and also Advanced Classes. 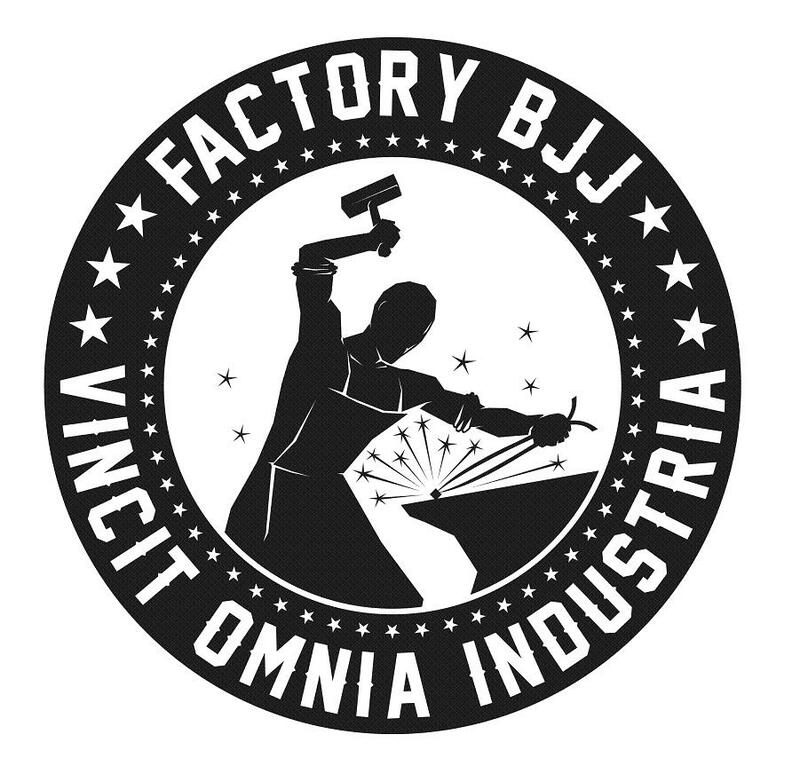 Looking to take your Brazilian Jiu Jitsu to the next level? Great! We have Wrestling, No Gi, a Competition Class, Judo for BJJ, Open Mats for sparring/rolling and even a Conditioning Class to help boost your game on all fronts. We never close! We have classes on 7 days a week – 365 days a year! Yes, that includes Christmas Day! So whatever your schedule there is a class going on just for you. We have sessions during the day, in the evening and also at weekends. We are also ALL about people visiting from other gyms!! Regardless of your experience or club affiliation, we'd love for you to visit if you're in town! 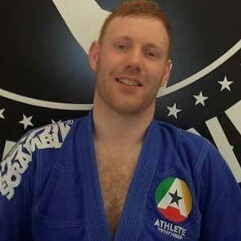 Adam started training in Brazilian Jiu Jitsu in February 2004 at Revolution in Stockport. 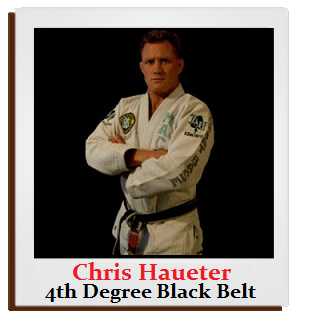 He worked his way up through the belts and was awarded his Black Belt in November 2014 by the legendary Chris Haueter in Los Angeles, California. As a competitor, Adam has fought at a range of international competitions around the world including: The World Championships (2009, 2012 and 2013) The Masters World Championships (2014, 2017) The Pan Ams (2013, 2014) The No Gi European Championships (2012) The European Championships (2011-2015, 2017) The IBJJF British Nationals (2015). His highlights as a competitor include tapping a Brown Belt World Champion to get to the finals of the 2012 IBJJF European Championships (sadly he lost in the final), plus winning the European No Gi Championships too. Both were in the adult brown belt super-feather division. As well as the medals he also counts his matches with the world-famous Joao Miyao (Twice), Caio Terra (Twice) and also Bruno Frazatto as his favourite matches. In 2016 he was asked to take part in a super-fight on the prestigious Polaris show agains UFC-veteran Phil Harris. The fight lasted the full 10-minute time limit and the action-packed match ended in a draw. 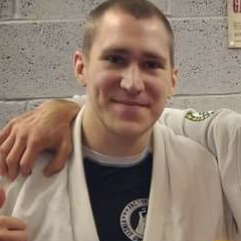 More recently, in 2017 Adam won Gold in the Adult Black Belt Light-Feather Division at the IBJJF London Spring Open and Bronze in the IBJJF London Fall Open (adult), plus Bronze at the IBJJF Masters Euros (Master 1), IBJJF British Nationals (Adult) and also the 2018 IBJJF European Championships (Master 1). He also won his Black Belt super-fight at Tanko again Paul Cole via Collar Choke in overtime. James started training at Revolution in 2006. He got his blue, purple, brown and finally received his Black Belt in July 2015 from Darren & Helen Currie. He actively competes and has done so in America, Sweden, Portugal and across the UK – including at the World and European Championships. As a Brown Belt James gold at the Hereford Open (Twice), Gold at the North West Open and the Blackpool Open. He also won Gold Subf15teen and also got the Fight of The Night Award. In the process he built a great reputation on the competition scene and was considered one of the best Brown belt competitors in the UK in his weight division. As a Black Belt he has taken Gold at the Middlesbrough Open, Sub15 and Grapple for Glory. He also recently won his super fight at Tanko against SBG Manchester‘s Chris Coltrane. James is always keen to learn more and expand his skill base. He regulary attends a lot of seminars and has even travelled to America and Japan to train with some of the best in the world. 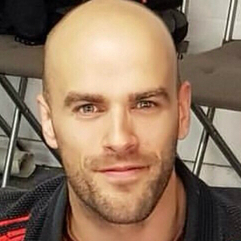 As well as competing, James is also head referee at the Grapple Nation Competitions and also a regular for the BJJ 24-7 Competitions around the UK and Ireland. Gary Furlong is Factory’s No Gi Coach and he is a Black Belt in BJJ under Darren & Helen Currie. Originally from Liverpool, Gary previously trained at Next Generation before relocating to Manchester for work and finding a new home at Factory. As well as being a wizard in the gi, Gary is also an expert on the No Gi side of the game – teaching the No Gi class on Thursday at 7.45pm. Gary is very detailed and knowledgable with his coaching and is always on hand to answer questions and improve everyone’s game however he can. He has competed in both the gi and no gi around the UK, plus also at the European Championships in Portugal. 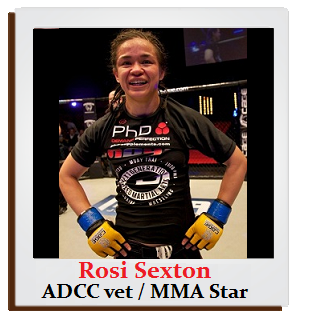 Want to find out more about the rest of the coaching team? I've never trained martial arts before, is that a problem? No, not at all. A blank slate is an ideal starting point. If you have trained in other martial arts before that’s great too, but it’s not essential. Am I too old or unfit to start training? Definitely not! We have had new starters begin in their 40s and 50s. As for fitness, the Basic Classes are very low tempo and are ideal for easing into training in Brazilian Jiu Jitsu. Do you have any women training? Yes! The number of women who have started training at Factory in the past year has almost trebled numbers. We have a number of women currently in both the White Belt and Advanced Classes. We have lots of free parking directly outside of the gym. We even have a bike rack for those who want to cycle in. What's the best option for public transport? It depends where you’re coming from but we are within walking distance to the 329 and 203 bus routes. If you don’t mind walking a little further the popular 192 bus route is close enough and the nearest train station is Heaton Chapel. 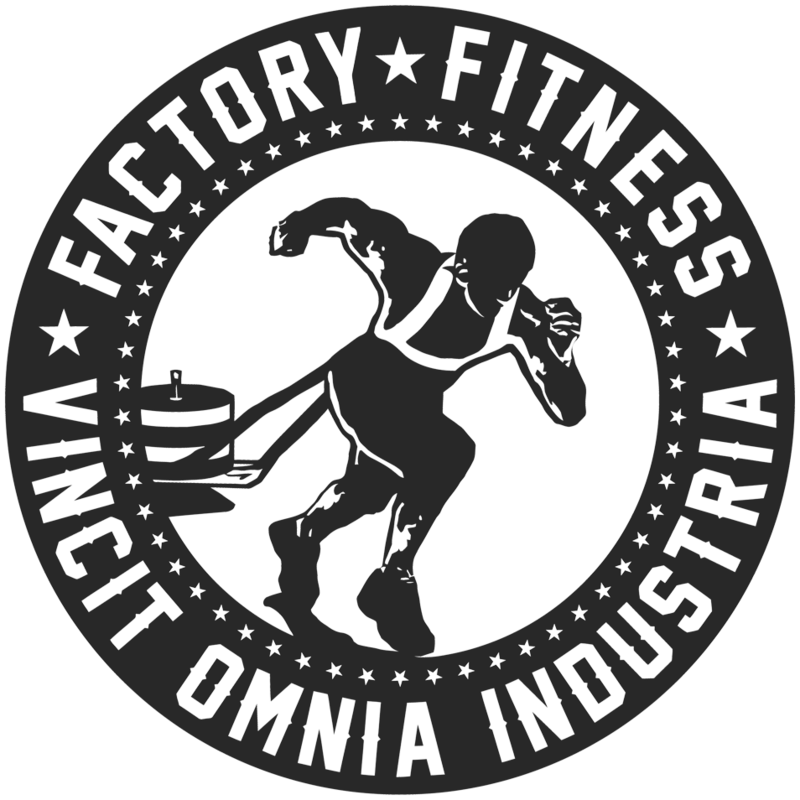 What is the gym address? 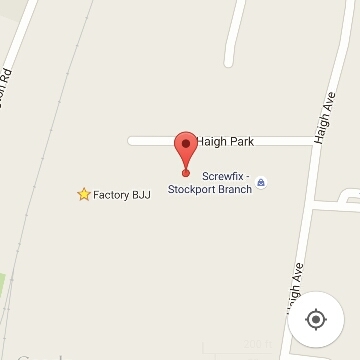 Unit 22, Haigh Park, Reddish, Stockport, SK4 1QR. Not far from Screwfix direct. Don't Be Shy, CLICK BELOW to find out how you can start training as early as this week! Click Here - to start in the Intro Class!